Saxophone, Solo Act, Duo, or Band I can provide it. 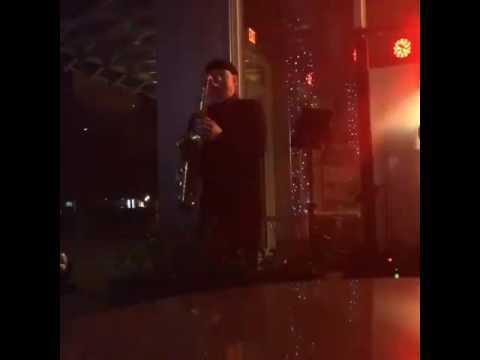 I am a saxophonist / vocalist with over 20 years experience performing as a solo act, with my Duo groups Jessi & Jay or Take 2, or band of any size to fit your needs. 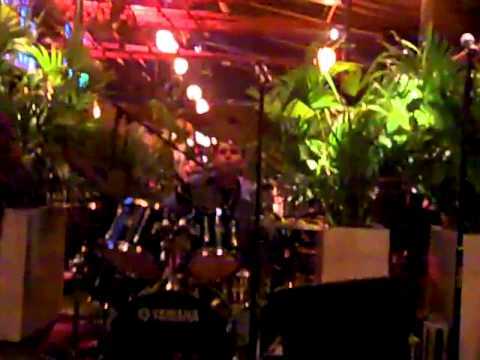 Styles include Smooth Jazz, Pop, R&B, Rock, Disco, Beach Music, Latin, and Country. Make your next event memorable and contact Jay Bee. Thanks to everyone at the event and look forward to the next time! Being the bride, unfortunately I did not get to hear JayBee play much, but our guests really enjoyed it! He was the perfect touch and exactly what we needed to complement our beach ceremony. He exceeded our expectations and I would absolutely recommend him to anyone. Thank you so much for helping make our special day perfect, JayBee! Jay made our special celebration rock! The music and set up was outstanding and Jay's personal touch was great. Would recommend 100% and will definitely book him again! South Palm Beach Florida Association for Women Lawyers was in need of a saxophone player for our annual Judicial Reception. Jay Bee was very talented and professional. His selection was great and really made the party that much better! We look forward to Jay Bee’s performances at future events! Jaybee is a fabulous musician and he knows how to please a crowd. I highly recommend him for any event. He is very professional and very accommodating! Jay bee was on time and all our guests were impressed with his selection of music and the sound level. He was the perfect music for our rehearsal dinner allowing our guests to converse while providing great entertainment. I wish I had another event to hire him again. Jay Bee is terrific. Everyone loved having him at the market and the great ambiance he brought to our event. Nearly every vendor thanked me! Jay was great! Everyone loved his music! He's easy to work with and takes care of everything. My husband and I got married on 12/13/14. Jay Bee was absolutely amazing! We couldn't have asked for a better musician. He is very professional and extremely talented! Everyone was coming up to me asking me who he was and where I found him! Very impressed. He really made my wedding very elegant and everyone enjoyed every minute! Highly recommended!!!! We hired Jay Bee to perform at our annual murder mystery party, All I can say is don't miss the opportunity to have him perform at your next event, you won't be disappointed. He is a wonderful artist and person. We will be booking him many more times in the future. Thanks again Jay Bee for making our party just that much more wonderful. I hired Jay for a house party and was very impressed. 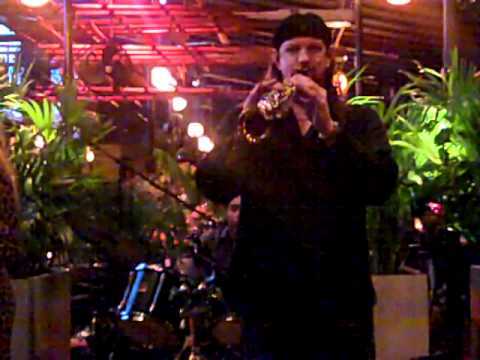 I love saxophone and smooth jazz and I loved what he did. Not only did he make the mood right early he livened up the party as the night went on. Best of everything. From a wine crowd to a tequila crowd...he did it. Expert Saxophonist, looking forward to working with Jay Bee in the future. I wanted something different for Cinco De Mayo and was pleasantly surprised by Jay Bee. He was on time, professional, and kept my party going. This guy is 100% ! I had some requests and he followed up! All I can say is WOW! Hired this guy for my pool party and he was great. 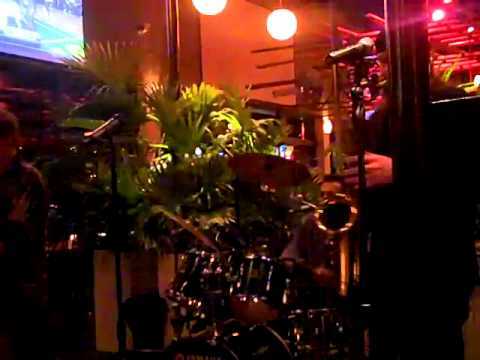 I like smooth jazz, which he played great but he then sang some of my favorite songs and got the party going. 10 out of 10! I'm looking forward to hiring him for my Christmas party. I originally hired Jay four years ago for my wedding and he did such a great job I have since hired him for several parties. 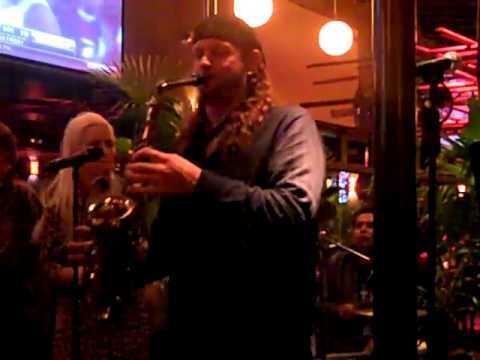 He has always delivered the goods on sax and I highly recommend him to anyone looking. Stay cool Jay! I have a catering company and I hired Jay to play for our Anniversary Party. I invited some of my clients and everybody was impressed with MY choice of entertainment. Jay wowed the whole group and was extremely flexible with my many requests. He is a talented saxophonist and I look forward to working with him at some of my future events. I hired Jay Bee for my house party and he was great. I had different age groups there and he catered to everybody. I'll definitely hire him again. Great experience and look forward to the next party. This guy Jay Bee NEVER showed up or called!!!! Jay Bee was booked and paid for.... I confirmed 5 times with him and he never showed for my daughters wedding... And would not answer my calls or call me back. We had silence as she walked down the isle!! A moment that couldn't be duplicated!! I am extremely furious and hope he never works another job in South Florida!!!!! This client never paid me in advance and this review is only a tactic to make me look bad. He has posted hateful remarks about me on other sites and wants to tarnish my name for his gain. In over 20 years I have never had this happen. I regret that this is posted on this site but I can not change these remarks nor erase them. My work speaks for it's self and any client that I have worked for has nothing but praise for me. I am sorry he blames me for whatever happened at the event but it sounds like bad planning not a bad performance on my part. During a performance by Jay Bee, audience members will be entertained by the variety of styles and by the emotion in which they are expressed. Songs are selected to touch the heart as well as make feet tap. The goal of every performance by Jay is to make the event a memorable one for all. I have performed in different sized groups both locally and over seas. I supply a sound system adequate for the event, lighting (if needed), backing music to play along to, and break music to set the mood. I play all styles to fit every need. David Sanborn, Grover Washington Jr., Najee, Richard Elliot, Micheal Brecker, Euge Groove, Tower Of Power, Candy Dulfer, Prince, Maceo Parker, and Earth, Wind , and Fire to name a few.